This Tuesday, General Motors will formally announce plans to add 1,400 jobs and invest some $450 million into two sites directly tied to the Chevrolet Volt. Those sites include the Detroit-Hamtramck Assembly Plant (manufacturing site for the Chevy Volt) and the Brownstown Township battery assembly facility. The Detroit News cites "four sources familiar with the automaker’s plan" for this breaking information on General Motors' massive investment plan. "The announcement is expected to include adding a second shift at the Detroit-Hamtramck plant and investing to build a redesigned plug-in hybrid Chevrolet Volt, according to sources. One source, who asked not to be identified because the plans have not been made public, said the second shift would be added next year. Another source said the investment also is focused on battery technologies." The official announcement will come on Tuesday during the Automotive Press Association lunch in Detroit. Aside from members of the press, Detroit Mayor Mike Duggan and possibly even Michigan Governor Rick Snyder will be in attendance. According to the Detroit News, Detroit-Hamtramck Assembly employs 1,600 workers and operates on a single shift. It's unclear at this time if the additional 1,400 employees will all be added at Detroit-Hamtramck or if some will be added to the Brownstown Township battery assembly facility. 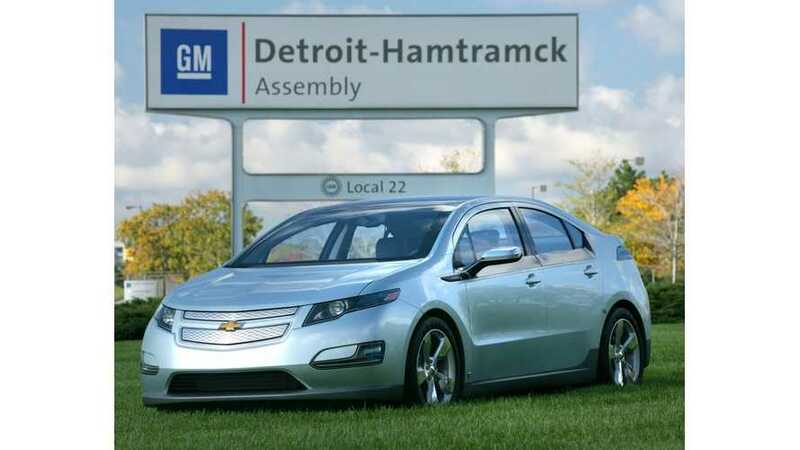 Detroit-Hamtramck is the only production site for the Chevy Volt, Opel Ampera, Holden Volt and Cadillac ELR. Additionally, Detroit-Hamtramck produces the Chevrolet Malibu and Impala. It's believed that a second shift will be added at Detroit-Hamtramck as production of the next-gen Chevy Volt gets underway. The Detroit News expects production of the redesigned Volt to commence in Fall 2015, meaning the next-gen Volt will debut as a Model Year 2016 vehicle. General Motors and its former CEO have strongly hinted that the next-gen Volt will debut, and is expected to be priced around $30,000-$32,500 with 50-60 miles of extended range. Look for us to bring you more information on this GM investment on Tuesday when the automaker makes the official announcement.